Whether during an early break in the action or in the midst of the seventh inning stretch, belting out the tune of “Take Me Out to the Ball Game” is a baseball tradition. Spurring the crowd to “root, root, root for the home team,” the song sums up well the baseball experience. Yet while it sings of the classic snacks of peanuts and cracker jacks, ballpark dining has undergone a revolution of sorts. Although these snacks remain staples, today’s parks offer the more adventurous and epicurean palates a diverse array of culinary options. Even if hots dogs are the stereotypical centerpiece of ball park fare, diners can now choose from gourmet sausages, baby back ribs, and even veggie burgers for those non-carnivore baseball fans. Ketchup and mustard have been replaced by elaborate toppings, including vinegary coleslaw, bean chili, spicy kim chi and decadent macaroni cheese. For those hungry for something without a bun, items available range from the ethnic, like sushi and Bahn Mi, to the sea, like crab cakes and chowder. And though there is nothing wrong with a scoop (or three) of ice cream neatly packed into a baseball hat bowl, your sweet tooth now can choose from decadent Italian gelato, fried spheres of dough sprinkled with sugar and hand-spun custards seasonally flavored. At the homes of Major League Baseball teams across the country, each site offers fans a unique experience not only as a spectator, but also as a diner. With so many options now available, below is just a glimpse of some of the most creative and mouthwatering ball park selections that make you forget about cracker jacks and peanuts… at least until you sing about them. Chase Field, Phoenix, Arizona: Not only is Chase field home to the Arizona Diamondbacks, but it is also the home to fantastic eats. Craving a hot dog while also wanting something different from the dawgs of barbecues past? Then try the “Big Kid Dog,” a carb-fiend’s best friend with macaroni and cheese and Fritos piled high in the bun. Other options include all-natural Niman Ranch sausages in flavors such as Apple Gouda and Chipotle Cheddar. Citi Field, Flushing Meadows-Corona Park, New York. Although there has not been a dramatic change in ball playing since the Mets started at Citi Field in 2009, a culinary revolution occurred with the site’s opening. Serving food that would make grandmas proud, Citi Field offers brick oven Sicilian pizza slices, authentic Italian subs and cannolis complete with Mets orange and blue sprinkles. You can also have tastes from south of the border with skirt steak tacos, carnitas and chicken soaked in a pumpkin seed mole sauce. But what if you want sushi? White cheddar and pancetta macaroni and cheese? Fried flounder? Or a brioche bun-enveloped pulled pork sandwich? 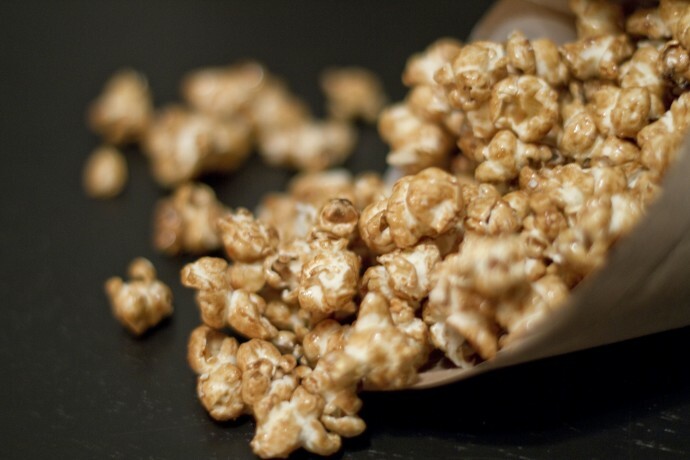 If you crave it, chances are Citi Field has it ready to calm your growling stomach. 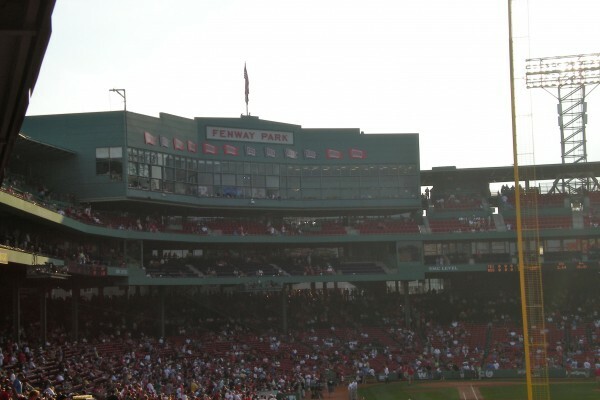 Fenway Park, Boston, Massachusetts: Celebrating its 100th anniversary this year, Fenway Park is rooted in tradition and history. Although the park’s beloved Boston Red Sox suffered a World Series drought (or curse) for 86 years, the food has been far from depressing. The park’s signature is the Fenway Frank, the epitome of hot dog simplicity and excellence. Also highlighting the flavors of New England are bowls of clam chowder and mayonnaise-based lobster rolls. With food this good, it is easy to forget the suffering that lasted for the better part of a century. Kauffman Stadium, Kansas City, Missouri. OK, so fans of the Kansas City Royals have had little to cheer about over the last several years, but at least they can try to stay positive with great food. In Kauffman Stadium’s outfield, a pitmaster runs two smokers for baseball-loving barbecue addicts. From ribs to burnt ends, you name it, they smoke it. Scoop up cole slaw and order a batch of cheesy corns and you have yourself a barbecue feast. Minutemaid Park, Houston, Texas. All of the previously listed parks highlight calorie-heavy, diet-busting fare, but Minutemaid Park offers health-conscious fans plenty of options. Vegetarians can enjoy veggie burgers and burritos, or choose from more than 30 different toppings at the park’s salad greens section. On the days when your diet goes on vacation, indulge in a potato baked with cheddar, barbecue sauce, pulled pork and jalapenos. At least you can feel somewhat healthy when washing it down with a cold, gluten-free beer. Nationals Park, Washington, D.C. With baseball’s arrival in D.C. in 2008, Nationals Park opened with a spectacular hype. The ballpark for the Washington Nationals, the spot is without much history and success, but it has plenty of flavor. Vendors include New York restaurateur Danny Meyer’s Shake Shack and also Ben’s Chili Bowl, the iconic spot in the District’s U Street Corridor. For those wanting the taste of a barbecue all in one bite, the “Tailgate on a Plate” combines baked beans, cheddar cheese, barbecue sauce and potato salad all on top of a half-pound dog. Unfortunately, after eating that, you might not have enough energy left to cheer on the home team. Progressive Field, Cleveland, Ohio. You know that this is no ordinary ball park when it has its own mustard. Unlike the traditional school bus yellow condiment, Cleveland Indians fans douse and dip their dogs in a spicy brown mustard. Diners can also fork up mouthfuls of buffalo macaroni and cheese. Wash it down with a cold beer and you will have a full, but satisfied stomach, in less than an inning’s time. Wrigley Field, Chicago, Illinois. The home to another cursed team, Wrigley Field has seen its fair share of heartbreak endings. While fans wonder every year if this will be the year the Curse of the Billygoat finally breaks, they feed themselves Vienna beef hotdogs topped with peppers, relish and mustard in a poppyseed bun. It may not be the fanciest thing on the menu, but the Chicago-style dogs are as iconic as the giant flashing Wrigley sign. You did not mention the sausage and peppers at Fenway Park! I have to agree with Kathi — this is great. And like Kathi, I am a friend of your Dad’s through NFPA. The food at ball parks today certainly is not what I remember from my childhood, (there is still nothing quite like a Vienna dog at Wrigley, though), it is soooo much fun to go to a ball game and enjoy a “food” adventure. Keep up the great work and continued success in school. Hi Sweety, great blog posting. I love it. I’m sad that one of the best ballparks in the country did not make the cut, but I don’t expect you to know it. The Ballpark in Arlington where the Texas Rangers play. Yea, the team that has made it to the World Series two years in a row. They offer food for every taste bud, including sushi, awesome BBQ,Asian cuisine, and a two-foot hot dog loaded for $26. Thanks again for such a great article. I’m not trying to go all Cubs/Sox on you here, but the Vienna Beef dog is also a point of pride at US Cellular Field. After all, both teams are Chicago teams, and the Chicago hot dog is an icon of ball park dining at both fields. It would have been easy to mention both of them in the same post. It is truly a great and helpful piece of info. I’m glad that you shared this useful information with us. Please stay us informed like this. Thanks for sharing. Hey very nice site!! Man .. Beautiful .. Amazing .. I will bookmark your web site and take the feeds additionally?I’m satisfied to find a lot of useful information right here within the submit, we need develop extra techniques in this regard, thanks for sharing. . . . . .